Oil tankers a/k/a petroleum tankers are merchant ships that transport oil in huge quantities from port-to-port. There are cruse oil tankers and product tankers. These tankers vary in size and purpose, from smaller inland or coastal vessels (product tankers) tp larger Ultra Large Crude Carriers. Lightering or literage is the process of transferring cargo from one vessel to another. 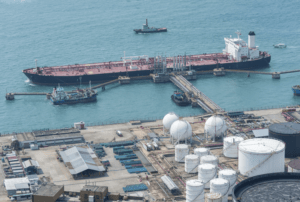 It is typically done when a large ocean-going vessel such as a oil tanker is too large to navigate into a port that is not capable of accepting large vessels. The cargo or oil may be transferred onto a smaller vessel such as a barge for delivery into port. Work aboard an oil tanker or a lightering vessel can be demanding and dangerous work. Transportation in a basket from one vessel to another in uncertain seas may result in falls overboard or a hard fall onto the deck. Once a lightering vessel is loaded, the height difference between the two ships creates a hazardous environment for mooring masters and assistant mooring masters. Crushing incidents can occur and crew members can be struck by moving objects. 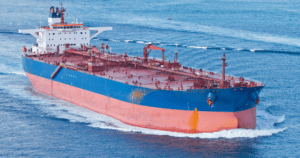 if you or loved one has suffered serious injury or wrongful death aboard one of these vessels an oil taker accident lawyer can help. Contact Simmons and Fletcher, P.C. It is our commitment to bring you and your family just compensation for your injuries through ethical and expert maritime legal practices. 1-800-298-0111. Under the Merchant Marine Act of 1920 a/k/a the Jones Act, you are entitled to receive what is known as maintenance and cure benefits. That is your employer must pay for the cost to maintain housing and for your medical care when you are injured while aboard a vessel until you are fit for duty or you have reached Maximum Medical Improvement. Furthermore, if your employer was negligent, it can also provide compensation for pain and suffering and other economic and non-economic losses suffered due to your injury. Simmons and Fletcher, P.C. bring Christian values and Texas maritime lawyers to the table for you. We have experience with Jones Act cases and we are dedicated to bring your family the justice and compensation they deserve. Call us today at 1-800-298-0111 for a free no obligation consultation with an oil taker accident lawyer about your case.